Rick Gramlin has 30 plus years in the aerospace industry. As a contributor to Aerospace Industries Association, accuracy and reliability was the core disciple of its members. 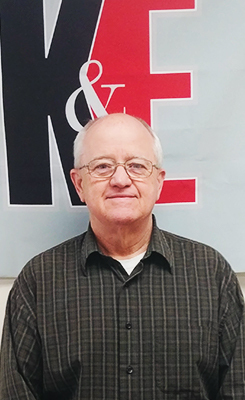 Rick is an alumnus of Purdue University and hold several certifications in the electronic industry. As a champion for Lean Manufacturing and Six Sigma principles, our clients will be assured of the quality and repeatability of K&E Plastics services.